Parkside is simplifying global access to US stocks through regulatory innovation and modern technology. We’re a registered US broker-dealer providing access to US stocks for individuals around the world - starting with China. Soon you can invest globally using your local currency, low fees and no minimums. 2) a mobile application made with Google's flutter. 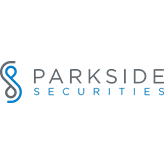 Parkside Securities is simplifying global access to US stocks through regulatory innovation and technology. We’re in registration as a US broker-dealer providing access to US stocks for individuals around the world - starting with China. Soon you can invest globally using your local currency, with low fees and no minimums. We’re a hard-working team of FinTech professionals based in San Francisco pursuing an exciting, disruptive global vision. Come build something amazing with us! Want to get notified about new jobs at Parkside Securities?